The course teaches to build a website in WordPress and understand the principles of e-commerce. The course goes into configuring the WordPress solution into an e-commerce website, along with set up of payment processes. Introduction to e-commerce and online shopping carts. Understand the principles of online e-commerce including online gateway, merchant account. Understanding a WordPress Content Management System (website) and how they work. Introduction to Server technology and MySQL for installation of WordPress. Download of WordPress and tools and install on local machine for development. Configuring WordPress and understanding the administration layout. Working with WordPress themes, customising them. Working with menus in WordPress. 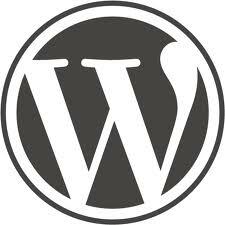 Working with plugins, installation and configuration of WordPress. Installing and configuring e-commerce plugins in WordPress. Creating categories and product items for sale in WordPress. Steps needed to be taken to deploy a WordPress website. Other concepts such as Google Merchant Center, customer reviews. Basics of SEO (Search engine optimization) for online selling. Our WordPress web design training courses are run regularly in the Cardiff office, please give us a call to book you a place on it.